If you like a new or used vehicle shown on our site and would like to see how it handles, schedule a test drive below. One of our salespeople will contact you shortly to confirm the time and date. 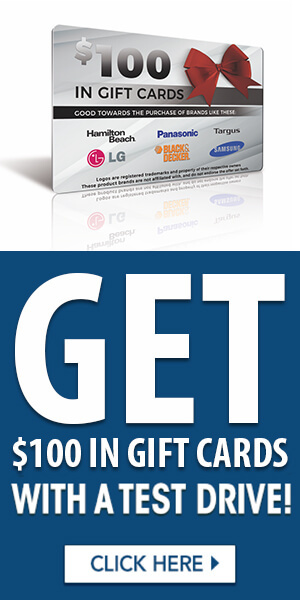 After your test drive, we'll give you $100 in gift cards! *Promotional Gift cards have a value of $25 with available shopping credit to be used at four (4) different select online retailers. Gift cards have no cash value. see www.eOutletStores.com for full terms and conditions.